A hands-on cooking class culminating in dinner served with wine, with a little bubbly! Mix up your dinner party repertoire and impress your guests with this Indian feast! This is a continuation of our Indian Dinner Party class from last year, featuring a more flexible menu to accommodate casual gatherings with close friends and family. A few of these dishes, when cooked alone, can be a comforting weeknight meal, though when assembled together, this spread is a fabulous and unique dinner party. The best part of this menu (besides the flavor!) is the strategy: everything is pre-made to make time for you to host and enjoy the dinner party with your guests. 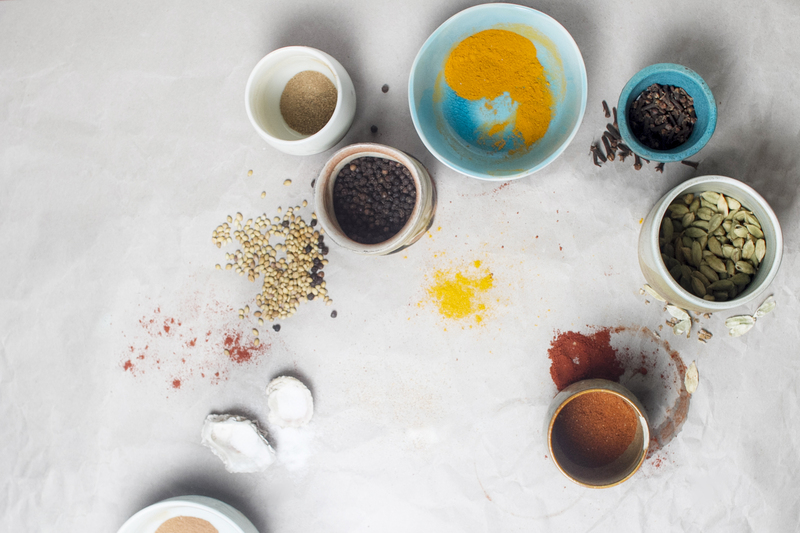 Like many of Stacie and Simran's other classes featuring Indian spices, we will include a discussion and primer on how to use the spices that lift these dishes up! And it goes without saying, play Bollywood music to get everyone in the mood! Simran Singh and Stacie Dong are San Francisco moms with a passion for cooking, eating and exploring the world through food. On their blog, A Little Yumminess (www.alittleyum.com), they share recipes from around the world, favorite foodie destinations in the Bay Area and ideas for bringing up adventurous eaters. Throughout the year the run very successful day and week-long “around-the-world” cooking camps and classes for youth aged from K- 12. They also teach regional Indian and Asian cooking classes at 18 Reasons and other venues around the Bay Area. They are also regular contributors to the San Jose Mercury News food section, Sunset Magazine’s blog, Bay Area Parent Magazine, and other websites and publications. Roop Soni grew up in Kashmir and Punjab in a family of both professional chefs and talented home cooks and from a young age she began learning essential techniques and treasured family recipes. These days Roop splits her time between New Delhi and San Francisco. She continues to cook amazing meals for her family and friends, document family recipes, and occasionally teach and cook for public events like this one.